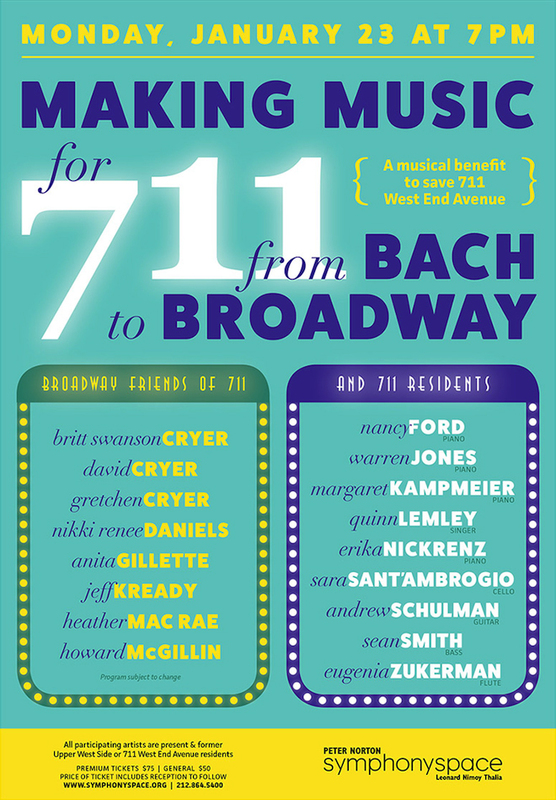 MAKING MUSIC Event for 711 West End Avenue! TAG, the Tenants’ Action Group of 711 West End Avenue is presenting a special concert to focus community attention to the imminent threat to 711 WEA Tenants’ safety with the proposed building of ten stories of high-priced condos on top, around and under their modest, six-story 1950’s rent-stabilized building. Participating artists are donating their efforts to support the efforts to stave off this unwanted construction which threatens the function of their daily lives.